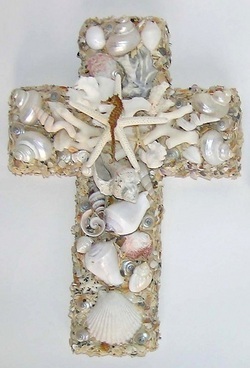 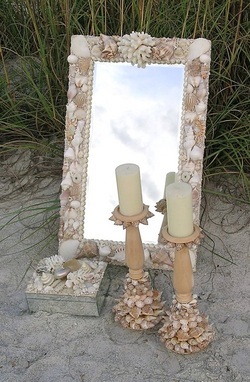 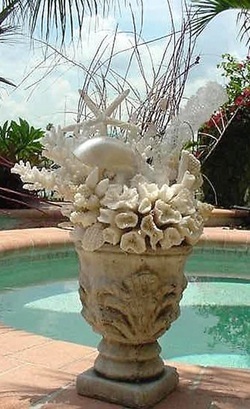 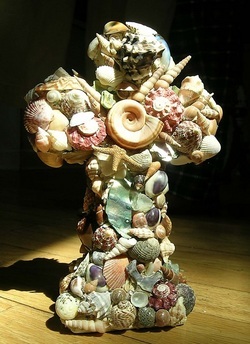 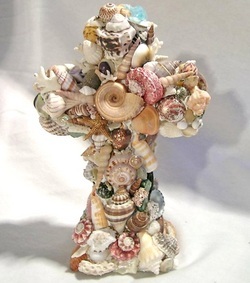 Choose from our large collection of: Beautiful Seashell Crosses, Seashell Shelf Sconces, Seashell Hurricanes, Seashell Candle Sticks, Seashell Bookends, Seashell Boxes, Seashell Busts, Seashell Urns, Seashell Tassels and Seashell Picture Frames. 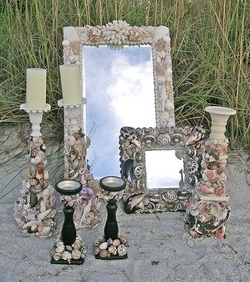 We have different pieces in stock, all the time. 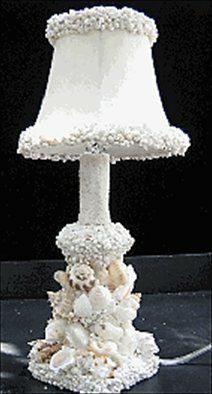 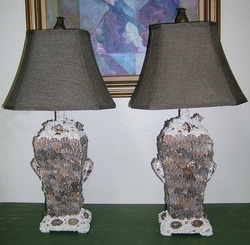 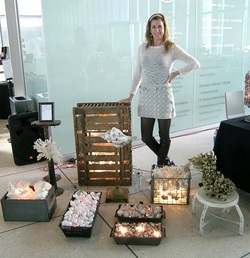 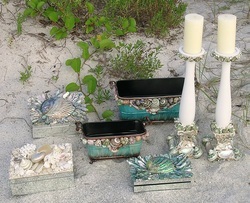 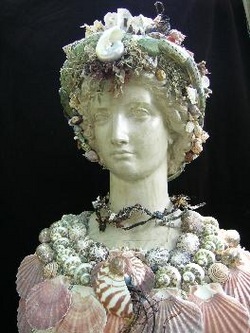 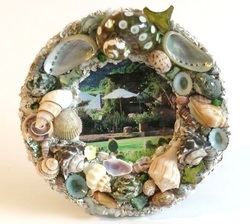 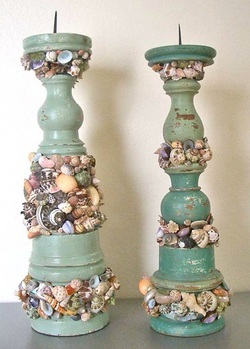 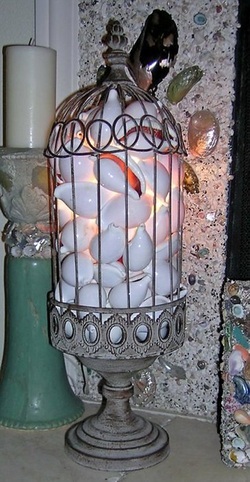 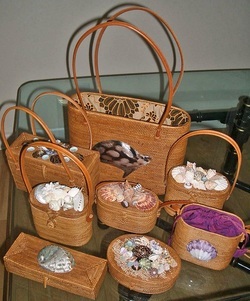 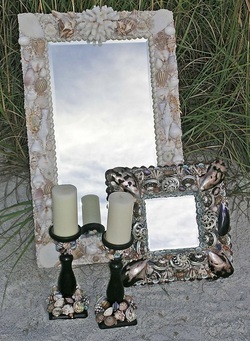 If you would like a personal showing, email me and I will send you studio pictures of newly created seashell décor.